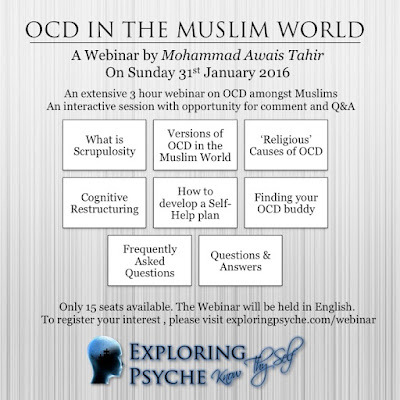 Discusses the 'religious' causes of OCD in Muslim population. Through vivid examples it is explained how extreme rulings lead to obsessions that in turn lead to compulsions. This article seeks to abolish the angelic view of scholarship that is administered into people and works to their disadvantage by making it difficult for them to find the balance. Some reflections on my encounters with OCD Sufferers ; some observations and some tips. 3. Worried About Blasphemous Thoughts? A first aid kit for those pre-occupied with blasphemous thoughts. An academic journey into the mind of an OCD sufferer. 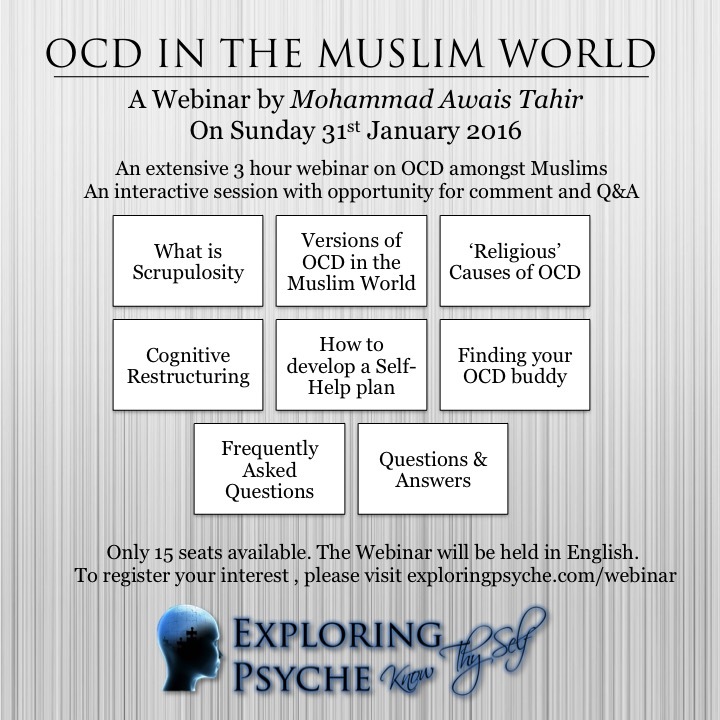 Insight into neurological, psychological, biological, socio-cultural and religious causes of OCD. An explanation of scrupulosity in Muslims, and a comprehensive analysis of doubts in light of scriptural rulings and rationality. Above article in Malaysian/Indonesian Language. An explanation of doubts that Muslims encounter while worshiping, and how those doubts are transformed into obsessions and compulsions. A meta-physical explanation of OCD. If knowledge is power, then the knowledge of disease amounts to a kind of power over that disease. Particularly in the cases of mental disorders, the way we think about the disease entity has a lot to do with how the sufferer regards his or her condition.